Our student successes are the best reviews we have. Here is an overview of what some of our current and former students have achieved. Alumnae Lianah Sta.Ana appeared as Kim in the 2017-18 revival of Miss Saigon on Broadway. Other alumni have done Broadway International and National Tours of A Chorus Line, Chicago and Beauty and the Beast. They have appeared on Celebrity and Norwegian Cruise Lines. Operatic alumni have been seen in the Young Artists Programs at Wolf Trap, Opera in the Ozarks, Central City Opera, OperaWorks in Los Angeles, The Benjamin Britten-Pears Young Artist Programme in England, Lingua e Canto in Italy. 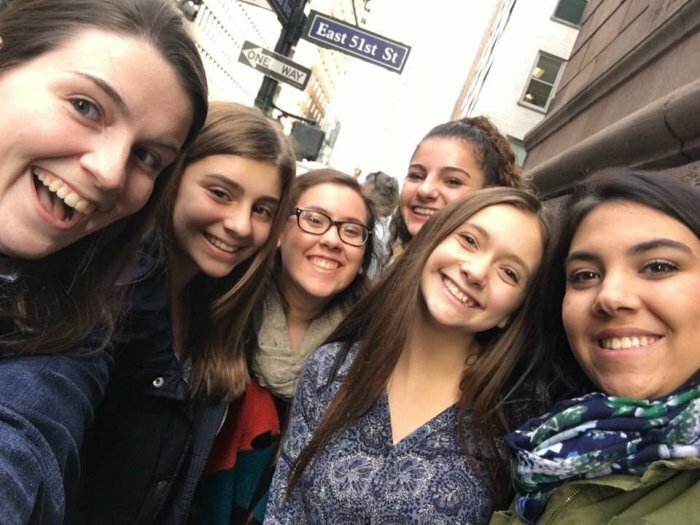 For Cynthia, current students routinely sing the leads in area high schools including Red Bank Regional, Rumson Fair Haven, Middletown North and South, Holmdel and Freehold Borough. Students regularly appear in area community theater productions such as Phoenix Productions, Premier, the Kelsey Theater in Mercer county and the Algonquin Arts Theater. Former students are currently studying at or have graduated from the most prestigious conservatories in the country: Manhattan School of Music, Eastman School of Music, Oberlin Conservatory, University of Michigan and Hartt School of Music, New England Conservatory, Peabody Conservatory and the University of Illinois. Cynthia's students have won the NJ All State Opera Competition, the Monmouth Civic Chorus Vocal Scholarship Competition, the National Association of the Teachers of Singing High School Competition and the Classical Singer High School Competition. For John, former piano students are studying at DePauw University (doctoral studies), Rowan University and Penn State. Former string students have majored in music at Catholic University and the College of New Jersey. A guitar student has recently completed his studies at the prestigious classical guitar program at William Patterson University. Former voice students are studying at Mason Gross School of the Arts at Rutgers, Montclair State University and Rowan University. John and Cynthia are the principal piano and voice teachers at Brookdale Community College in Lincroft. Both Cynthia and John have their students participate in the prestigious Associated Board of the Royal Schools of Music examinations, gaining distinctions in all grades.